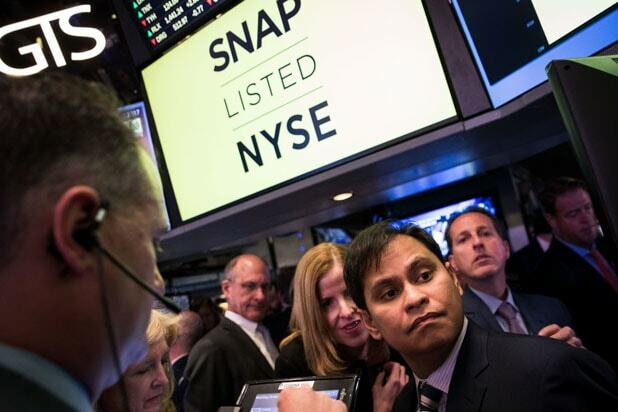 Investors in Snapchat parent Snap Inc. are seeing gains disappear faster than their stories, as the vanishing message company’s shares fell 7 percent through early afternoon trading Tuesday after a downgrade from the company’s lead underwriter, Morgan Stanley. 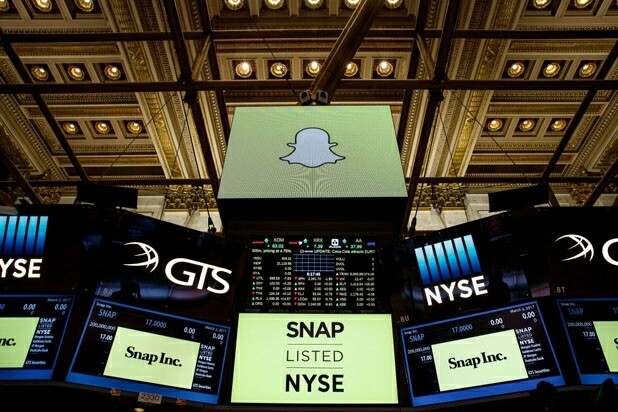 The investment bank dropped its price target on Snap from $28 a share to $16 — below the stock’s IPO price of $17 — and changed its rating from “overweight” to “equal weight.” In a Tuesday research note, Morgan Stanley analyst Brian Nowak said the company had changed its mind about Snap’s capacity to produce better advertising products in order to generate more meaningful revenue. To that end, Morgan Stanley cut its revenue estimate for the company by 7 percent to $897 million — and maybe more worrisome for a business that still relies on growth, reduced its forecast for daily active users to 182 million. Facebook has more than 1 billion daily active users worldwide. Snap’s stock had been on a slide over the past week, which continued Monday, as it closed just a tick under its IPO price at $16.99 a share. Snap opened Tuesday at $16.33 a share and hit its all-time low of $15.62 before recovering slightly, but it remains under $16 a share. Snap reports earnings early next month.